Microsoft, the multinational company ha taken the consumers by surprise by developing its products in an eco-friendly way. By this innovation, the company that is into developing consumer electronics, computer software, personal computers and other services has definitely come into good books of environmentalists and its loyal consumer base worldwide. 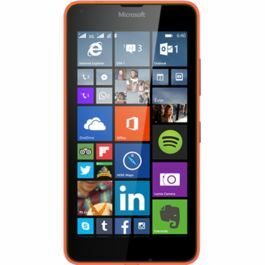 The Microsoft Lumia 540 Dual SIM is free of PVC, nickel on the product surface and free of BFR. Also, the packaging material is made of renewable materials and is 100% recyclable. We are sure you would love to flaunt this carefully designed mobile handset in your hand. With ClearBlack, IPS LCD display technology, Microsoft promises you to have an enhanced viewing experience. 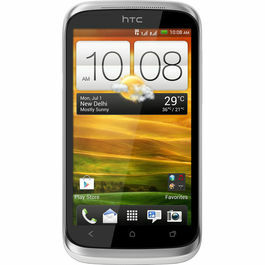 The screen size is 5 '' with resolution of HD720 (1280 x 720). Also, with easy to clean screen feature, you will now have shining screen free from dirt, oil and scratch. 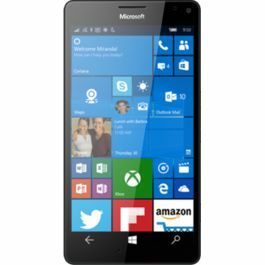 Now, be rest assured with the efficient functioning of this mobile phone as it runs on the operation system – Windows Phone 8.1 with Lumia Denim and with the Qualcomm Snapdragon 200 processor. 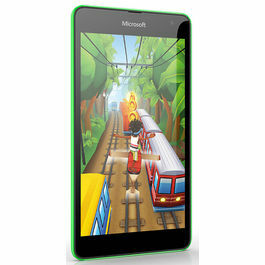 Groove to your favourite music wherever you are, in a bus, train, coffee shop or anywhere you are. This phone blesses you to remain tuned with FM or internet radio just at the push of a button. If you adore watching videos, then this phone enables you to stream easily You Tube videos and other video services. Also, you can download them easily and enjoy whenever you wish to. With this device, sharing and transfer of data, images and videos is a hassle-free task. It supports connectivity options like WiFi- WLAN IEEE 802.11 b/g/n, Wi-Fi hotspot: Up to 8 Wi-Fi enabled devices, Bluetooth and many such options like these. Capture high resolution with 8 MP main camera and front camera of 8 MP wide angle. Also, the camera is equipped with features like Auto and manual white balance, Automatic photo upload to OneDrive, Backside-illuminated image sensor. Do you always crib about having less space to store your data, then there is a good news for you. 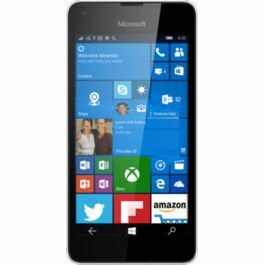 With this phone, you will get plenty of space to upload your photos and share them to friends and family up to 30 GB of free OneDrive storage included. The internal storage is of 8 GB and even if this space is not sufficient for you, you can easily slip a MicroSD card for an additional 128 GB of space. The phone comes with a pre-loaded music app- MixRadio which will allow you to discover the music you love. Also, the device comes with a small user guide, battery, charger and headset. Microsoft, the multinational company ha taken the consumers by surprise by developing its products in an eco-friendly way. By this innovation, the company that is into developing consumer electronics, computer software, personal computers and other services has definitely come into good books of environmentalists and its loyal consumer base worldwide. 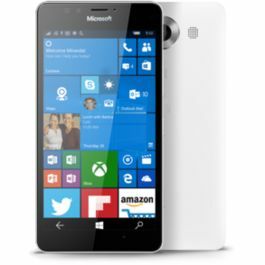 The Microsoft Lumia 540 Dual SIM is free of PVC, nickel on the product surface and free of BFR. Also, the packaging material is made of renewable materials and is 100% recyclable.Design and Display We are sure you would love to flaunt this carefully designed mobile handset in your hand. With ClearBlack, IPS LCD display technology, Microsoft promises you to have an enhanced viewing experience. The screen size is 5 '' with resolution of HD720 (1280 x 720). 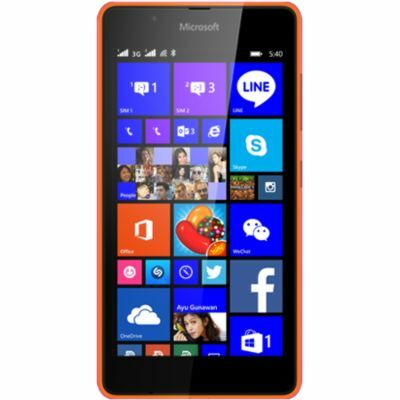 Also, with easy to clean screen feature, you will now have shining screen free from dirt, oil and scratch.Processor and OS Now, be rest assured with the efficient functioning of this mobile phone as it runs on the operation system – Windows Phone 8.1 with Lumia Denim and with the Qualcomm Snapdragon 200 processor.Multimedia Groove to your favourite music wherever you are, in a bus, train, coffee shop or anywhere you are. 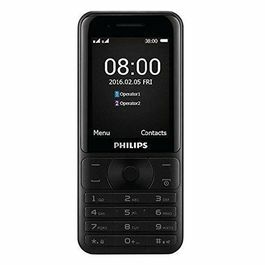 This phone blesses you to remain tuned with FM or internet radio just at the push of a button. If you adore watching videos, then this phone enables you to stream easily You Tube videos and other video services. Also, you can download them easily and enjoy whenever you wish to.Connectivity With this device, sharing and transfer of data, images and videos is a hassle-free task. It supports connectivity options like WiFi- WLAN IEEE 802.11 b/g/n, Wi-Fi hotspot: Up to 8 Wi-Fi enabled devices, Bluetooth and many such options like these.Camera Capture high resolution with 8 MP main camera and front camera of 8 MP wide angle. Also, the camera is equipped with features like Auto and manual white balance, Automatic photo upload to OneDrive, Backside-illuminated image sensor.Memory and Battery Do you always crib about having less space to store your data, then there is a good news for you. With this phone, you will get plenty of space to upload your photos and share them to friends and family up to 30 GB of free OneDrive storage included. The internal storage is of 8 GB and even if this space is not sufficient for you, you can easily slip a MicroSD card for an additional 128 GB of space.Other Features The phone comes with a pre-loaded music app- MixRadio which will allow you to discover the music you love. Also, the device comes with a small user guide, battery, charger and headset.Infibeam platforms a huge range of these latest mobiles; from almost all popular brands that you adore!Smarter way of buying smartphones is here; with an expansive range of unboxed mobiles. Infibeam brings you, your choice of phones with the jaw-dropping rates and quality!